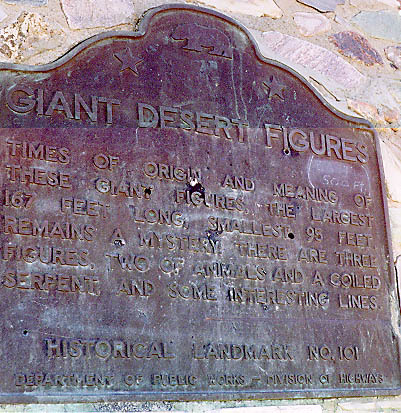 Times of origin and meaning of these giant figures, the largest 167 feet long, smallest 95 feet, remains a mystery. There are three figures, two of animals and a coiled serpent, and some interesting lines. 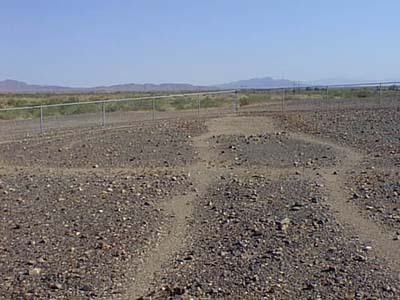 Plaque E side of US Hwy 95 (PM 15.3); site 0.5 mi W, 16 mi N of Blythe.